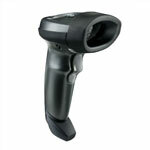 Symbol DS9808, SCANNER ONLY, 2D Imager, Standard Range, No EAS. Color: Black. Cables sold separately. See accessories. For the full kit purchase (Part# DS9808-SR7NNU01ZR). LI2208, SCANNER ONLY, Linear Imager, Standard Range. Color: White. Cables and accessories must be purchased separately. For the full kit purchase (Part# LI2208-SR6U2100SGN).